In the last month I’ve had opportunity to worship with two IN-MI Conference congregations. 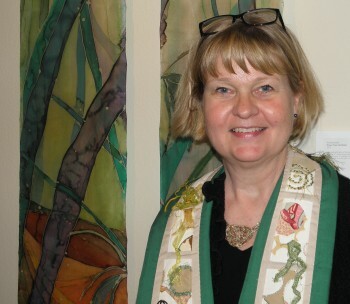 On November 24 I led the ordination service for Frances Ringenberg, member of the pastoral team at Prairie Street Mennonite Church (PSMC) in Elkhart, Ind. I got to know and appreciate Frances when she served on the Missional Leadership Team for conference as we made the shift out of an old structure in 2009. I was blessed by the prelude and offertories were led in Spanish, and to hear the scripture in both Spanish and English. We celebrated God’s leading in Frances’ life to draw out her gifts, but we also celebrated the God who gives good gifts. On December 1, I had opportunity to preach at North Main Street Mennonite Church, in Nappanee, Ind. Pastor Ruben Chupp is on sabbatical through January. It was good to reconnect with the congregation – I served as transitional pastor there 13 years ago. We reflected on our need to be reminded of God’s mission, since there are so many things that can divert our attention. I was invited to join the Upper Room Sunday School class in the basement (!) and was captured by the desire to be engaged with the world God loves. Engaging brings new joys and questions. Worshipers at North Main – note the fashionable suspenders!